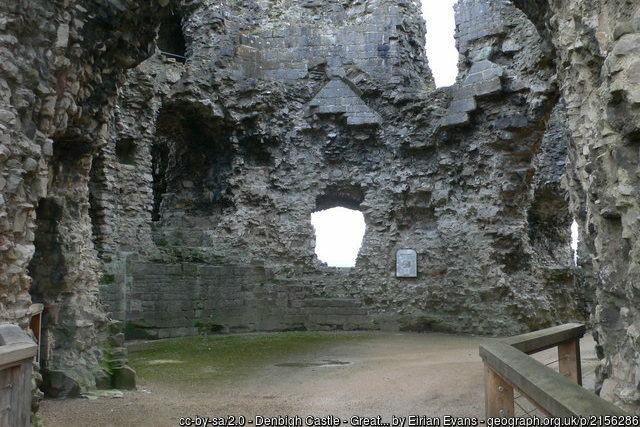 Denbigh, built as part of Edward I’s 13th century campaigns against the Welsh, was constructed by Henry de Lacy, one of the king’s chief commanders. 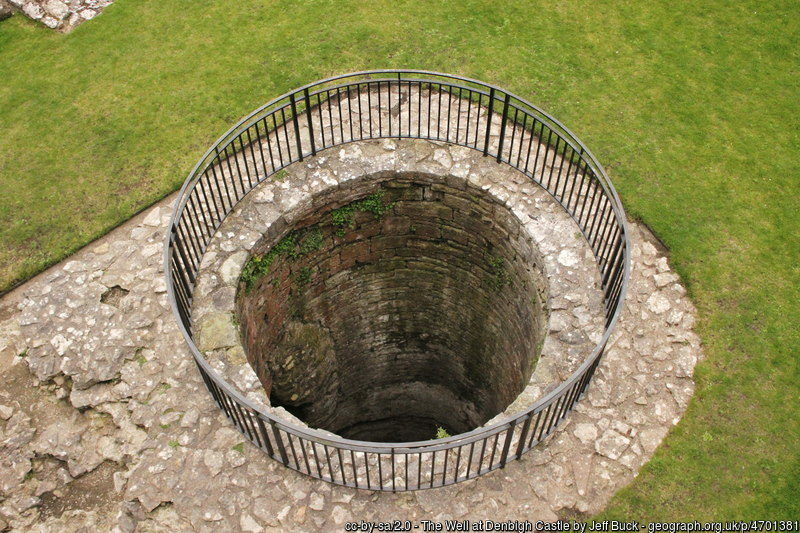 It was by no means the first stronghold to occupy this self-evidently strategic site: as if to emphasize English dominance, the castle was built over the stronghold of Dafydd ap Gruffudd, the Welsh leader crushed by Edward in 1282. 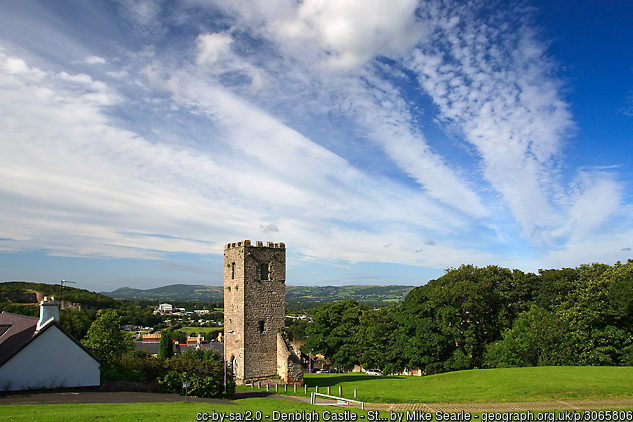 The building of the ‘new’ Denbigh from 1282 onwards (which removed all traces of the Welsh fortifications) created not only a castle but a new English borough protected by town walls. The building in two phases, was interrupted by a rising in 1294 during which the castle was held for a time by the Welsh. 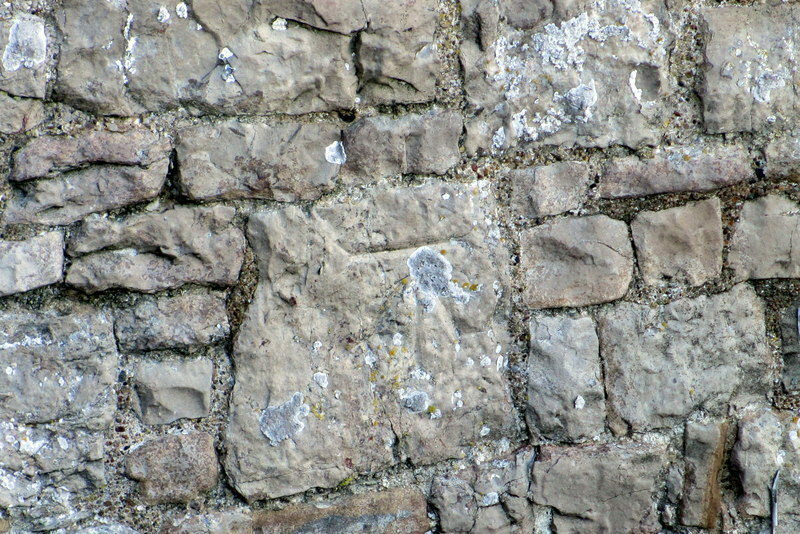 The latter work is easily recognisable by the different coloured stone, thicker curtain walls and angular towers resembling those at Caernarfon. 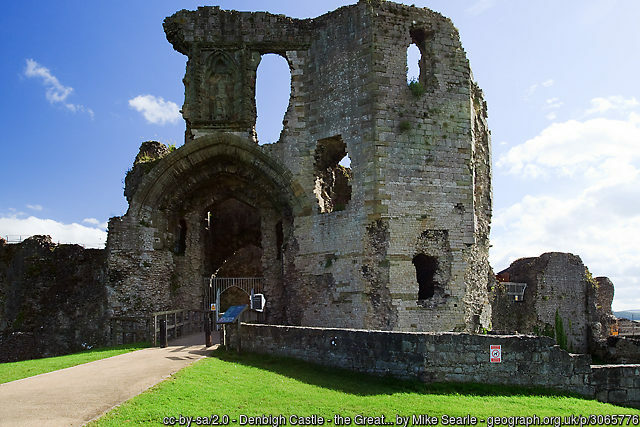 The castle’s finest feature is its striking triple-towered Great Gatehouse bearing the unmistakable stamp of Master James of St George, the architectural genius responsible for all of Edward’s major North Wales castles. Also of great interest are the town walls, almost two-thirds of a mile long. The eastern section, defended by the Countess Tower and Goblin Tower, is particularly fine. Admission Charge:- Adults £4.00, Reduced rate £2.80. Family Ticket:- £10.80 – admits 2 adults and up to 3 children under 16 years. Three or seven day explorer passes are available to give you free admission to the historic sites in the care of Cadw. Winter:- 1 November 2016 – 31 March 2017 – Monday – Thursday 10.00am – 4.00pm – Open and unstaffed – Free admission on these days.